Fairfield Inn & Suites Baltimore BWI Airport, the newest BWI hotel located in Linthicum, Maryland, is a contemporary hotel near Baltimore Washington International Airport with complimentary 24-Hour BWI Airport, Light Rail, Amtrak and MARC shuttle service. Business and leisure travelers enjoy beautifully modern rooms and suites with engaging spaces for business and pleasure, just minutes from the BWI Business district, Arundel Mills and Baltimore's Inner Harbor. Get refreshed in our stylish guest rooms and suites, appointed with modern d cor and lifestyle amenities, such as free WiFi, LCD TVs, work desks, and luxurious beds. Enjoy complimentary hot breakfast and get energized in the indoor pool and fitness center. 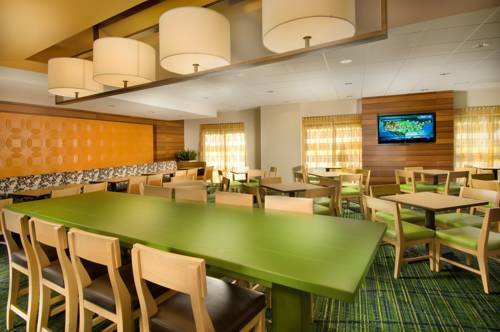 At the Fairfield Inn & Suites Baltimore, youre our #1 priority. We promise youll be satisfied, or well make it right. Thats our commitment to you. Need to leave your car? Ask about Park Here, Fly There package, so you can leave your car with us during your trip. Call us for details.